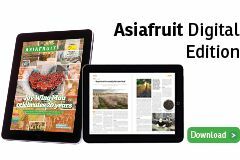 Australia’s fresh mushroom sector is about to get a shakeup with the opening of a new mushroom growing facility in Victoria this week, a joint venture project between major Australian fresh produce grower-marketer Perfection Fresh and asset management company Mecrus. The new joint venture company operating the site, Parwan Valley Mushrooms, officially opened the A$10m facility yesterday in Parwan, near Bacchus Marsh just west of Melbourne. Parwan Valley will hit its full weekly production level of around 50 tonnes within the next few weeks. 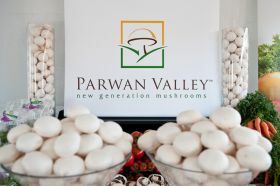 Parwan Valley Mushrooms is the first foray into the category by Perfection Fresh, which told Produce Plus a feasibility study by its partner Mecrus had identified mushrooms as one of the best sectors for investment in the Australian fresh produce market. “There has been an up-side in the demand curve for mushrooms Australia-wide in recent years due to a combination of factors, including effective promotion of the mushroom category by the Australian Mushroom Growers’ Association `AMGA` and growing general awareness about the health benefits and versatility of mushrooms,” Perfection Fresh’s CEO Michael Simonetta explained. Coles Supermarkets has signed on to buy a significant volume of the output of the Parwan Valley facility, a commitment Parwan Valley Mushrooms CEO Tim Adlington said gave Perfection Fresh and Mecrus the certainty to go ahead with the project. “We’re delighted to be able to partner with Parwan Valley and Perfection Fresh to have more mushrooms on the Australian market,” Coles’ business category manager for merchandise Daniel Williams told Produce Plus. The Parwan Valley production, which is predominantly white agaricus button, cup and flat mushrooms, is aimed at forming the base for Perfection Fresh’s fledgling mushroom business. The company aims to leverage off that base and move into branded exotic mushrooms in the future. The new site is one of the most advanced mushroom production facilities in the world, and was designed by Dutch mushroom farming expert the Christiaens Group, with climate control systems from fellow Dutch company Fancom. For a photo report on the opening visit the Produce Plus website.